John Macdonald from Scotland managed to take an impressive picture of a strange, brightly lit object. The 65-year-old had been driving home along rural roads in Perthshire at around 11pm on the night of February 28 of this year when he suddenly heard a peculiar noise coming from above his car. When he looked up he caught sight of an enormous object with multiple rows of brights lights that seemed to be hovering just overhead. Astonished, he grabbed his camera and snapped a picture. The undeniably impressive photograph, which looks like something out of the Steven Spielberg classic 'Close Encounters of the Third Kind', has since generated a lot of debate online. "It’s definitely a spacecraft of some sort," Macdonald told The Courier. "I don’t know whether I frightened it or not with the flash of the camera, because in the beat of a heart it was gone." 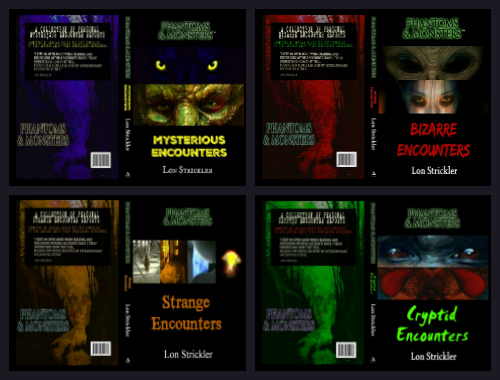 "I always thought there was something out there, but have never seen anything until now." Read more at Best UFO Photo Ever? A Chinese woman died after being trapped in an elevator for a month because maintenance workers shut off the power supply after failing to properly check if anyone was inside, state media reported Sunday. Workers came to repair a malfunctioning elevator in the northern city of Xi'an on January 30, Beijing Youth Daily cited local authorities as saying. The crew found the elevator stuck between the 10th and 11th floors, shouted to ask if anyone was there, and cut the power, it said. The workers left for the week-long Lunar New Year holiday and did not return until March 1. The government said the investigation found the death was due to a grave error by the maintenance company for not opening the car before cutting the power, and not verifying after the power was off whether there was anyone inside. The deceased woman, 43, reportedly lived alone in building. Police investigating the incident found no evidence of trauma and have ruled out homicide, Beijing Youth Daily said. Last July, a woman was killed after she plunged through flooring over an escalator in a Chinese department store. Los Osos, CA - 7/1994: A friend and I were just coming back from a hike at Montana de Oro state park. It was sunset and the wind was blowing pretty good and the stars were beginning to come out. We passed two men in these big long jackets, which I thought was odd for that time of year. We decided to get out of the wind by sitting in a little nook that was washed out from the rain inside the cliff so our heads were about ground level and the beach was down below the cliff. The 2 men kept drawing my attention by making something spark it seemed or a spark was coming from somewhere. Then, after the 3rd spark or so the biggest, brightest light I've ever encountered flashed so big and it was in the shape of a cylinder. Inside the cylinder of light was a small gray alien. I was shocked, frightened and yelled RUN!! All three of them saw us get up and run, we were about 200 ft away. We drove back in to San Luis Obispo and pulled in to a parking lot. I asked my friend to tell me what she saw and made her draw a picture as well. She drew the typical alien head with large eyes. I was still pretty shaken and at first I thought it was a small naked child and some ritual was about to take place but my friend is a pediatrician and exclaimed, "that was no child". A NOAA zoologist tells National Geographic the octopus doesn't look like "anything that’s been documented in the scientific literature." It has a number of unusual traits, including a lack of muscle tone and color-changing pigments. It also has only one series of suckers instead of the typical two. "This animal is now confusing several of our shore-based scientists, who have never seen anything like this," a scientist can be overheard saying on the video of the octopus. 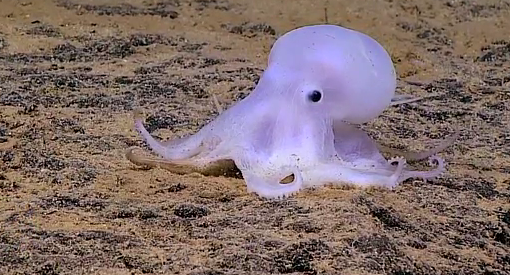 NOAA believes the octopus is "almost certainly" a new species and possibly even a new genus. According to Forbes, the detailed video should help scientists name and classify it soon. Until then, we'll stick with the unofficial name given to it by the Internet: Casper. A Secretary of Defense and the M.I.B.